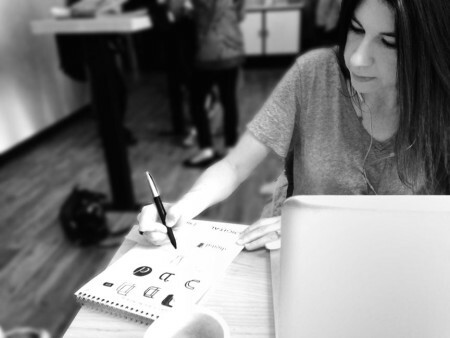 11Web is seriously thrilled to announce the hiring of our brand new Creative Director, Sherry Duncan. Sherry is a talented, detail-oriented (ie, ridiculously organized), and very creative designer with over 18 years experience in the design industry. She has worked with national clients such as Kellogg, Keebler, Blue Cross and Blue Shield, Haworth and John Deere. She has also had the pleasure of working with local businesses like Simply Eight, Uncle Goose, Fox Motors and Southwest Michigan First. Sherry and I first came together when I realized 11Web shouldn’t continue to use the awful logo I created for myself in my first few months in business. 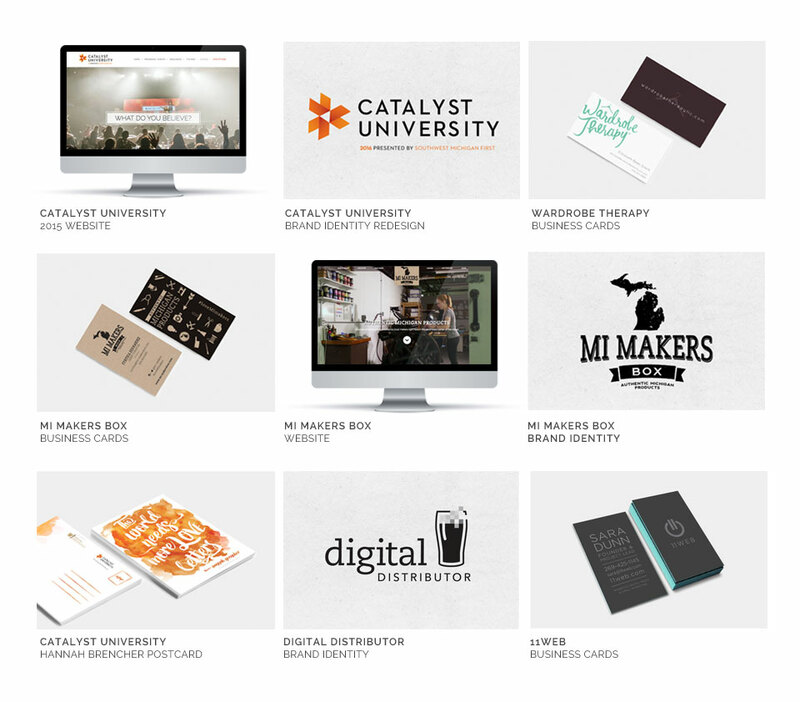 As soon as I saw her portfolio, I knew her style fit exactly what I wanted 11Web to be. She created several logo concepts, and one of them was an immediate winner for me. With basically no revisions, it is the logo you see at the top of this site. I knew we had to keep working together. Shortly after, 11Web brought Sherry on for the branding/web/print/billboard/everything project for Catalyst University. She created a beautiful, cohesive brand for the conference that was carried throughout dozens of design projects. We’ve continued to work together for this client and others for almost a year. We’ve enjoyed working together so much that as of April 1, 2015, we have decided to join forces. Sherry will lead all design projects as our Creative Director, and I will lead web projects and handle our customer relationships. For Sherry’s design clients, 11Web will bring our business and value focus to what will hopefully be many web, social media, and email marketing projects. Together, we will be able to offer so much more for our clients. Here’s a short list to get you thinking. Sound interesting? Want to explore how we can make your business look more professional and attract more customers? Contact us here. And if you’d like a taste of what the new and improved 11Web can do for you…. here you go. We can create really cool things for you, too. What do you say?